board can be used for production of such products as paper trays, cups, paper plates, containers for food, and various consumer packages. Deep-drawn paper-based products are intended to compete with petroleum-based materials on the market for packages for ready meals, picnic dishes, and foodstuffs such as cheese and sliced meat products. The specific properties of fibre-based materials set significant limitations regarding the obtainable shapes compared to plastics and metals. These limitations are caused by certain insufficient deformation characteristics of paper. They cause defects in deepdrawing such as surface and complete fractures, appearance defects, and shape inaccuracies. This paper aims to provide an overview of the deep-drawing process and the deformations experienced by paper-based materials in the deep-drawing process. The second objective is to identify the mechanical properties of materials that have an essential role in deep-drawing. Additionally, typical defects in end-products will be reviewed and possible reasons for these defects will be suggested. Finally, solutions to avoid or mitigate the problems will be proposed. order to soften the paper. The third stage is the forming, when the blank is formed to the designed shape against a forming cavity and counter holder. Finally, in the fourth stage, the formed part is cooled in order to “freeze” the shape and regain stiffness. The timescale of the process is rather short; the forming time varies in the range from one to several seconds. The typical conditions in the forming process of paperboard are as follows: the temperature of the paperboard is around 100°C and the moisture content is around 6 to 11% (Peltonen 2006, Kunnari et al. 2007). The ingoing moisture content of the paperboard can vary because it is not usually controlled prior to forming. A moisture content of above 15% in the blank can lead to the formation of small fractures in the edges of a formed tray (Peltonen 2006). Materials The paperboard grades used in the forming are typically of relatively high grammage (200 to 450 g/m2), non-coated, and made of chemical pulp, e.g. kraft pulp. However, polyethylene-coated and mechanical pulp containing grades are also available. Among the commercially available paperboard grades used in deep-drawing, some notable ones are: Trayforma® (Stora Enso) and FibreForm® (Billerud) (Stora Enso 2012; Billerud 2012). Other fibre-based products, such as vulcanized fibres, saturating kraft, latex-fibre, and other fibre composites, have been reported to have high elasto-plastic deformation characteristics in comparison to conventional paper grades (Waterhouse 1976; Alince 1977; Nezamoleslami et al. 1998; Suzuki 2004). Recently, vulcanized fibres were utilized in the deep-drawing process for the production of automotive interior parts (Künne et al. 2011; Künne and Dumke 2012). The sack and bag grades of paper can have elongation in the cross direction (CD) of around 6 to 8% and in the machine direction (MD) of 2 to 3%. One type of extensible paper, so-called “compacted” or “Сlupak” paper, may have elongation of up to 12% in MD (Hernandez and Selke 2001; Holik 2006). Recent developments in the compaction of paper, by the addition of CD compaction, have yielded strain values of 20% and 16% in MD and CD, respectively (Cariolaro and Trani 2000; Cariolaro.com 2011). The aforementioned materials have a great potential to be used in deep-drawing. Additionally, fibres or paper can be subjected to chemical modifications, impregnation with plasticizers, or blending with thermoplastic polymers such as polypropylene, etc. The elongation at break of such materials can be as high as 30% (Waterhouse 1976; Alince 1977; Salmen et al. 1984; Rezai and Warner 1997; Borges et al. 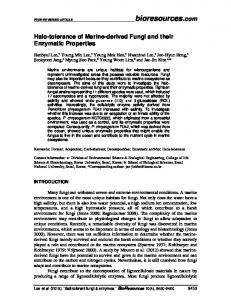 2001; Wang et al. 2007; Cyras et al. 2009). Another perspective paper-based material for deep-drawing is the hydroxypropylated pulp, which shows high elongation levels (up to 16%) and partial transparency (Vuoti et al. 2012). 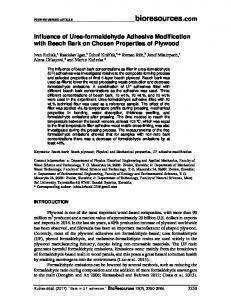 Hydroxyethylation of pulp has also been shown to be beneficial for strength and stretch of paper; stretch was improved from 3% to almost 8% (Didwania 1968). Products Advanced 3D-shapes from paperboard can be produced by deep-drawing process, and the examples of such products are shown in Fig. 2.
bottom of the shape, since these zones are experiencing higher stresses in comparison with other parts of the shape. Examples of fractures of the deep-drawn shapes are shown in the Fig. 3. Wrinkling and Buckling Wrinkling and buckling occur mainly due to the action of compressive forces oriented in a transverse direction (Johnson and Urbanik 1987; Urbanik 1992; Bhattacharyya et al. 2003; Arcelomitall 2011; Hosford and Caddell 2007). Wrinkling leads to uneven height on the upper surface of the package (flange wrinkling), so that it cannot be effectively sealed to protect the aroma and freshness of the product. It is possible to define two principal types of wrinkling: flange wrinkling and draw wrinkling (side wall of the shape) or puckering. The formation of wrinkles and buckles can be controlled by adjusting the blank holder force: the higher the force, the lower the probability of formation of wrinkles and buckles (Bogaerts et al. 2001; Hauptmann and Majschak 2011). However, high blank holder force leads to increased tension and compression loads, which increase the possibility of a fracture. One way to control formation of wrinkles is by pre-creasing; this approach creates controlled weaker zones with locally reduced stiffness and elastic modulus in compression (Kunnari et al. 2007). Thus, in the forming process, wrinkles are formed in a controlled way. The location of the creasing lines for each type of blank is defined experimentally (Giamperi 2011). One other way to deal with the wrinkles is to use material with low compressive strain and strength, which would lead to the formation of a huge amount of shallow and small wrinkles; thus the surface of material would look rather smooth. The side wall wrinkling of the cylindrical deep-drawn shape is shown in the Fig. 4. Spring Back and Deflexion Spring back and deflexion are the defects related to the shape accuracy of the formed product. Spring back describes a change in the angle between the walls and bottom of the formed shape when an applied force is released, while deflexion is the distance between the bottom edge of the shape and the angular line of the spring back measurement (Hauptmann and Majschack 2011). Spring back and deflexion can be attributed to elastic recovery and relaxation effects (Waterhouse 1985; Whitsitt 1987). A spring back effect occurs within one second after the load being removed (Vomhoff 1998). Springing back can be sufficiently decreased by the selection of a proper temperature and moisture profile in forming, in order to rapidly “freeze” the shape (Östlund et al. 2011; Golzar and Ghaderi 2009). These defects are furnish-dependent; due to its rigidity, mechanical pulp tends to spring back more rapidly and to a higher extent than the chemical pulp. A schematical illustration of spring back is shown in the Fig. 5. Earing Earing is the waving of the upper part of a deep-drawn shape. This defect is caused by the anisotropy of the material (Tajally et al. 2011), i.e. by the difference in the straining of paper in the drawing direction and lateral direction, and also by the difference in the paper properties in MD and CD. An example of earing is shown in Fig. 6. Blistering When using elevated temperature and moisturizing in deep-drawing, one should remember that this may cause blistering in the paperboard. Blistering of the paperboard is a defect in appearance that may also reduce its sealability. It is caused when the water vapour cannot evaporate out of paper fast enough, and it creates internal vapour pressure that is higher than the cohesion of the surface layer. This defect is especially common in coated and/or multilayer paper grades where the density of the outer layers is higher than the density of a middle layer, and air permeability is low, which can lead to excessive internal steam pressure. An illustrative example of blistering in coated paper is shown in the Fig. 7. STRESSES ARISING IN PAPER-BASED MATERIALS IN THE DEEPDRAWING PROCESS Paper-based materials have a stochastic structure in comparison with other materials (plastics, metals) used in deep-drawing. Nevertheless, common aspects in the mechanisms of deformation can be found for these materials. The behaviour of paperbased materials in deep-drawing is based on the properties of single fibres and fibre bonds, and on the structure of the paper web formed during consolidation and drying. Moreover, there are built-in compressive and tensile stresses in paper, formed during the manufacturing process. These stresses have a significant influence on the straining deformation of paper (Niskanen 1998; Alava and Niskanen 2006; Östlund et al. 2005). In the case of paperboard, adhesion forces between layers, thickness, chemical composition of layers, and type of coating are of specific importance when considering its behaviour in deep-drawing. Unevenness of the strength and stress distribution in the MD and CD of paper-based materials is the common reason for failure under a load (Xia et al. 2002). Deep-drawing of paperboard means that the material will be compressed, sheared, and strained at the same time (Waterhouse 1985); the extent of these stresses determines the possibility of fractures and defects such as wrinkling, abnormal thinning, buckling, and earing. The main reason for defects in fibre-based composites and paperboard in deep-drawing is the limited ability of the material to withstand plastic deformations, because the softened matrix of wood polymers has a limited ability to flow; it is lower than for truly ductile materials. For instance, elongation at the break of the typical commercial paperboards is in the range of 2 to 5%, while some metals can be strained up to 90%, and certain foams and rubbers up to 1000% (Cada 1996; Bogaerts et al. 2001; Anonymous 2011). The Deformations of Fibre and Fibre Network Five general modes for fibre and fibre network deformations can be observed: fibre stretching, fibre straightening, intra-ply rotational shear, shear slip, and buckling (Long et al. 1996). These deformations have been found in the draping of textile fibres. This process has a certain similarity to the deep-drawing of paper. Thus, models of textile fibre deformation can also be applied to paper fibres without major reconsideration. The modes of fibre deformations for a single layer of fibres are shown in Fig. 8.
cavity by the moving die, while the edges of the paperboard sheet are kept under tension. However, the stresses and deformations caused by drawing occur over a larger area than creasing, which is a local process. A schematic representation of the stresses that occur in paperboard during creasing is shown in Fig. 9. The stress model shown in Fig. 9 can be partly applied to the deep-drawing of paperboard. Compression, bending, and shear stresses are caused by the moving die and the walls of the cavity, while tension is mainly due to the in-plane holding force applied on the paperboard sheet. The direction of the tensile and compressive stresses in the deep-drawing of fibre composites is shown in Fig. 10.
paperboard causes a notable amount of these stresses. When the paperboard cannot withstand these stresses, it leads to the formation of defects in the shape. The deepdrawing process should be performed in a way to avoid excessive stretching in the drawing direction, in order to prevent formed shape from the defects. However, this matter becomes challenging considering the advanced shapes with high depth. UNDERSTANDING THE DEEP-DRAWABILITY OF PAPER-BASED MATERIALS There is a need for the development of a systematic approach for evaluation of the applicability of paper-based materials for the deep-drawing process based on the mechanical properties of paper. At present, evaluation is based on empirical methods, which provide results only for a given shape under given conditions (Östlund et al. 2011; Post et al. 2011). The foremost basic property of paper, which is now used for the evaluation of mouldability, is elongation at a break; additionally compressive strength, shear strength, and metal paper friction are also important (Kunnari et al. 2007; Hauptmann and Majchak 2011; Östlund et al. 2011; Ankerfors and Lindström 2011; Post et al. 2011). The consideration of these properties with respect to the deep-drawing of paper would allow better understanding of which properties should be improved toward better performance in process. Tensile Behaviour of Paper in Deep-Drawing A considerable amount of knowledge of the tensile and fracture behaviour of paper is available, because the strength and fracture properties of paper have been an object of close attention in science and industry since the start of modern papermaking (Niskanen 1998; Mark et al. 2001; Uesaka et al. 2001; Uesaka 2005; Alava and Niskanen 2006; Ek et al. 2009). Stress-strain curves are used for the characterization of the behaviour of paper under tension. Most commonly, interest has been concentrated on tensile strength, while extensibility of paper has attracted less interest. The tensile behaviour of wet paper can demonstrate interesting aspects in plastic deformations of paper. The stress-strain curve for paper at 55% dryness is shown in Fig. 11. The stress-strain curve of paper, however, depends on several factors related to the straining situation. As Fig. 11 shows, the catastrophic failure of paper is not necessarily imminent when the highest tension, that is, tensile strength, is reached (Robertson 1959; Kurki et al. 2004). The fracture behaviour of paper under tensile stress depends on the amount of elastic energy stored in the test sample and the energy needed for the propagation of the fracture line. If the amount of elastic energy stored in the test strip is low or the energy needed for the propagation of the fracture line is high, for example, due to a short testing span, or due to high fracture toughness or high moisture content, additional energy has to be brought into the sample by straining the sample further. Figure 11 shows that paper can be strained a considerable amount before the load-bearing ability of the sample is completely lost. This also indicates that the strain at break value is not always a suitable measure of the deformability of paper. The elongation should be measured at the point at which an essential portion of the tension has been lost. Tensile strength does not play a crucial role in deep-drawing. Elongation potential is more important, and elongation should be recorded at a point where material still shows a considerable resistance to tension. The amount of tension that can be lost and the amount of the lost tension and stiffness that can be healed during the final stage of deepdrawing have not been studied yet. Another parameter that can be obtained from the stress-strain curve is tensile energy absorption (TEA). This can be used as an estimate of the amount of energy that the sample can absorb before fracture (Hernandez and Selke 2001). However, fracture toughness would be more specific for an evaluation of the energy needed for fracture propagation. The combined effect of temperature and moisture on the elongation behaviour of paper The presence of moisture softens the material and changes the character of the stress-strain curve of fibres and paper by reducing the elastic modulus and tensile strength. It increases the elongation due to increased plastic deformation. Increased temperature has a similar effect (Salmén and Back 1977; Back and Salmén 1989). By varying the moisture and/or temperature of paper-based materials, it is possible to get gains in elongation of around 2 to 2.5% points (Kunnari et al. 2007). The effect of the increased temperature is mainly related to the softening of the material. Water acts as a plasticizer, decreasing the softening temperature of cellulose and lignin, however, for the latter only to a minor extent (Goring 1963; Back and Salmen 1982; Waterhouse 1984; Shiraishi 1991; Haslach 2000; Alava and Niskanen 2003). 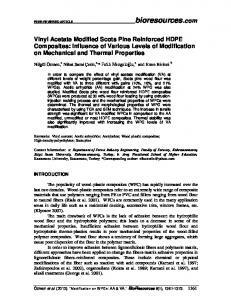 The data on the softening of wood polymers (Salmén et al. 1982 and 1984; Salmén and Back 1989) allow the assertion that most paper-based materials are fully softened at a moisture content of around 6 to 8% and at temperature of 150 to 180°C. These conditions can be suggested as the reference points when choosing the temperature and moisture for deep-drawing. The effect of moisture and elevated temperature on elongation depends on the structure of the paper-based materials; the higher the density of the material, the lower the increase in elongation (Rhim 2010). Moisture and temperature also have an increasing effect on the stress relaxation rate of paper. Roughly 50% of the tension in wet paper can be released within 0.5 seconds (Kurki et al. 2004; Retulainen and Salminen 2009). restraint or unrestrained drying, is the state-of–the-art technology for producing highly extensible papers nowadays (Ankerfors and Lindström 2011). Ability to Comply with Compressive and Shearing Deformation Materials used in deep-drawing should have sufficient ability to withstand compressive and shearing deformations without damage (Bhattarachyya et al. 2003; Nino et al. 2007; Nakamura et al. 2009; Huang 2011). Shearing deformation can occur in the paper blank when it is sliding into the moulding cavity, while the edges of the blank are restrained by clamps. The ultimate value of the shear strength is not essential for deepdrawing; the ability to strain under shear deformation is more important (Stenberg 1999 and 2001; Nygårds et al. 2009; Nygårds and Malnory 2010). Shearing stress arises from friction, bending, tensile, and compressive stresses. Under compressive stress, paper-based materials can experience negative straining. Compression of the sheet in the in-plane direction can release the tension stresses in the sheet, which were formed during restrained drying (Haberger and Whitsitt 1983; Considine et al. 2005). In order to avoid defects caused by compressive stress, fibres and fibre layers in the blank should be able to slide against each other without significant self-microbuckling (Cavlin and Fellers 1975; Cavlin 1988; Considine et al. 2005). Moisturizing of the blank decreases the compressive strength and resistance to compressive deformation of the material; however, at the same time compressive strain is increased (Kellicutt 1961; Considine et al. 1994; Van Eperen and Robbins 1994). Friction Friction is of significant importance for deep-drawing, since material is sliding under the certain pressure along the forming cavity. Even though the friction-induced stresses can be relatively low, they may couple with tensile, shear, and compressive stresses and increase the possibility of surface cracks and fatal fractures (Schwarzmann and Illig 2001; Westeneng 2001; Bhattacharyya et al. 2003; Peltonen 2006). The friction of paper-based materials originates from two main components: structural – surface topography and rigidity; and chemical – the nature of compounds in the layer and their moisture content (McDonald et al. 1996; Fellers et al. 1998; Johansson et al. 1998). For instance, metal-paper friction can be significantly decreased by residual fats and waxes contained in the paper (Back and Salmén 1989; Back 1991). It has been found that the surface roughness does not determine friction; for smooth paper, friction can be increased by a higher contact area (Fellers et al. 1998). Friction coefficient is affected by temperature, velocity, pressure in forming, smoothness, possible lubrication, coating type, chemical composition of the surface layer, filler content, filler type, and fibre orientation (Bhattacharyya et al. 2003; Akkerman and ten Thije 2009; Back 1983). In the case of the deep-drawing of paper-like material, static and dynamic paper-metal friction is important. Process variables such as temperature, blank holding force, and moisturizing of the blank, can be varied for controlling the quality of the final product (Hauptmann and Majschak 2011). Retention time is the time when the paperboard is retained in the forming cavity; this parameter can be used to adjust shape stability and springing back. The sequence of operations in deep-drawing can be adjusted for the optimal distribution of temperature and moisture within the material. High friction in process may lead to the decolouration of the shapes and increase the probability of the fractures, lubrication agents can be used for decreasing the friction in forming (McClurg and Dulmage 1942; Ingraffea 1983). The variables originating from the paperboard properties are determined in the major extent probability of fractures and appearance of the shape. For instance, fracture toughness of materials determines the propagation of cracks (Fellers et al. 1991). Elongation at break, and shear, tensile, and compressive properties are considered to be among the most important material properties in deep-drawing. Bulky materials tend to be more suitable for deep-drawing (Uggla et al. 1988). Equipment and motion design variables are used for adjusting the process for a certain shape of the product and, at some point, for the design of stress distribution in the material during forming. Also, the type of the deep-drawing process can be varied according to the material used and the required shape of the product. One well known variation of classic deep-drawing is the hydroforming process, which has been already applied to paper (Post et al. 2011) It is important to have a criterion or criteria, which would reflect the applicability of fibre-based materials in deep-drawing. Unfortunately, the criteria developed at the present time only deals with the shape of products versus the relative difficulty level of their manufacture. Such an approach does not incorporate material properties in the equations and therefore lacks practical usability. Among the existing criteria for the applicability of fibre-based materials in the deep-drawing process, the most notable are: forming degree (Scherer 1932) and mouldability factor (Haataja et al. 1991). The mouldability of metals and plastics can be expressed by a limiting drawing ratio (LDR). This term means the largest ratio of blank to cup diameter that may be successfully drawn (Hosford and Caddell 1983). In the deep-drawing of metals, the surface area of the blank increases simultaneously with a decrease in the thickness of the material (Bogaerts et al. 2001). In contrast to metals, paperboard has a very limited ability to thin without a fatal failure in the structure; the surface area is mainly increased due to stretching of the fibres and the bonds between them. Thus, equations and formability criteria used with metals and plastics cannot be applied to paper-based materials. Impregnation, blending, grafting of cellulose with the different chemicals such as methylacrylate, diisocyanates, diesters 23-26 etc. This method is not reducing amount of wrinkles but force them to form in the designed points, thus amount of random wrinkles is minimized. As can been seen from Table 2, the suggested solutions to overcome problems in deep-drawing of paper-based materials are simple, but they are not generally easy to realise. However, all of them can be implied in the current papermaking process without cardinal changes. By varying process conditions and inducing mechanical treatments of fibres, it is possible to improve the formability of paper-based materials to an extent that would suit the deep-drawing process. The chemical modification of fibres is another strategy, but it may require the introduction of new stages in the current papermaking process. SUMMARY Content of the paper can be summarized as follows: 1. In the deep-drawing process, the paperboard is subjected to a combination of tensile, shear, and compressive stresses. However, the tensile, shear, and compressive strengths are not crucial for deep-drawing; more important is the ability of the material to deform under these stresses without failure. 2. A notable part of the tensile, shear, and compressive stresses in deep-drawing is caused by frictional forces between the blank, die, and forming cavity. This is an indication of the important role of frictional properties of the surfaces. 3. An inadequate combination of stresses and material properties causes flaws in the formed product. Typical defects are surface cracks and fractures, wrinkles, ears, and buckles of the formed shapes. Additionally, deflexion of the formed shapes can be caused by spring-back due to excessive elastic recovery. 4. The deep-drawing conditions (including the time, temperature, and moisture conditions) and the required shape of the product determine, to a significant extent, the applicability of certain paperboard materials to the process. 5. The formability of the paper-based materials originates from the properties of fibres, fibre bonds, and the structure of the fibre network formed in the papermaking and converting process. Thus formability can be improved by introducing suitable changes to any of those factors. ACKNOWLEDGEMENTS This work has been done as a part of the Future biorefinery program of Forestcluster Ltd. VTT Technical Research Centre and VTT Graduate School are gratefully acknowledged for providing financial support for this work. Dr. Marek Hauptmann from the Technical University of Dresden is acknowledged for the practical advice and valuable discussions. REFERENCES CITED Akkerman, R., and ten Thije, R. (2009). “Models for textile composites forming,” In: Proceedings of NATO advanced research workshop “Textile Composites”, May 1821, Kiev, Ukraine. Alava, M., and Niskanen, K. (2006). “The physics of paper,” Rep. Prog. Phys. 69, 669723. Alince, B. (1977). 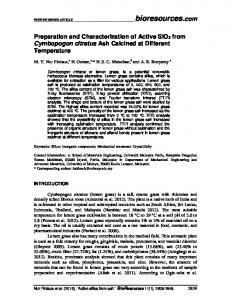 “Effect of heat on paper reinforcement by styrene-butadiene latex,” Svensk Papperstidning 13 (10), 417-421. Ankerfors, M., and Lindström, T. (2011). “Mouldable material,” International patent WO 2011/087438 A1. Anonymous (2011). “Strength-Elongation,” Electronic Lecture Material, available via: http://www-materials.eng.cam.ac.uk/mpsite/interactive_charts/strengthductility/NS6Chart.html (accessed 17.12.2011) Averheim, A. (2004). “Increased strength with multilayers on the extensible kraft fibres,” M. Sc. Thesis, Luleå University of Technology, 24. Back, E. L. (1991). “Paper-to-paper and paper-to-metal friction,” In: 1991 International Paper Physics Conference Proceedings, TAPPI PRESS, Atlanta, 49-65. Back, E. L., and Salmén, N. L. (1982). “Glass transition of wood components hold implication for molding and pulping processes,” Tappi 65, 107-110. Back, E. and Salmén, L. (1989). “The properties of NSSC-based and Waste-based corrugating medium,” Paper Technology 10 (30), 16-23. Beex, L. A. A., and Peerlings, R. J. H. (2009). “An experimental and computational study of paperboard creasing and folding,” International Journal of Solids and Structures 46, 4192-4207. Bhattacharyya, D., Bowis, M., and Jayaraman, K. (2003). 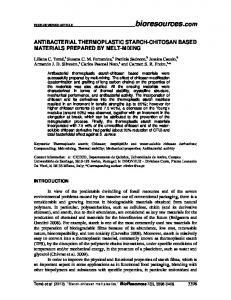 “Thermoforming wood fibrepolypropylene composite sheets,” Composites Science and Technology 63 (3), 353365. Billerud. (2012). “Billerud Fibreform® standard product range,” Brochure, available via: http://www.billerud.se/pagefiles/2499/fibreform_produktblad_sheets.pdf, (accessed 06.07.2012) Bledzki, A. K., and Gassan, J. (1999). “Composites reinforced with cellulose based fibres,” Progress in Polymer Science 24 (2), 221-274. Bogaerts, L., Lossie, M., and Vandepitte, D. (2001). “Study of deep drawing process of technical reinforced thermoplastics,” Paper presented at the RTO AVT Specialists’ Meeting on “Low Cost Composite Structures”, Loen, Belgium Borges, J. P., Godinho, M. H., Martins, A. F., Trindade, A. C., and Belgacem, M. N. (2001). 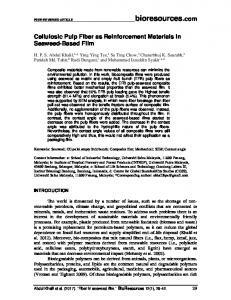 “Cellulose-based composite films,” Mechanics of Composite Materials 37(3), 257-264. Cada, R. (1996). “Comparison of formability of steel strips, which are used for deep drawing of stampings,” Journal of Materials Processing Technology 60(1-4), 283290. Cariolaro, N., and Trani, G. (2000). “Method and apparatus for producing extensible paper,” US Patent 6024832. Cariolaro.com (2011). “Mould Paper,” Brochure available via: http://www.cariolaro.com/home-uk/mould-paper-en-GB/mould-paper-en-GB/ (accessed 06.10.2011). Cavlin, S., and Fellers, C. (1975). “A new method for measuring the edgewise compression properties of paper,” Svensk Paperstidning 78 (9), 329-332. Cavlin, S. (1988). “The unique convertibility of paperboard,” Packaging Technology and Science 1(2), 77- 92. 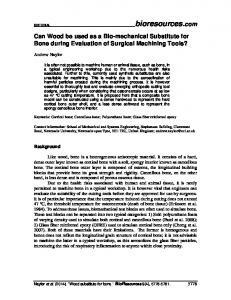 Considine, J. M., Stoker, D. L., Laufenberg, T. L. and Evans, J. E. (1994). “Compressive creep behaviour of corrugating components affected by humid environment,” Tappi Journal 77(1), 87-95. Considine, J. M., Scott, C. T., Gleisner, R., and Zhu, J. Y. (2005). “Use of digital image correlation to study the local deformation field of paper and paperboard,” In: Proceedings of 13th Fundamental Research Symposium, Cambridge. Cross, G. H., and Bernier, R. T. (1967). “Method and apparatus for forming rigid paper products from wet paperboard stock,” US Patent № 3305434. Cyras, V., Soledad, C., and Anali, V. (2009). 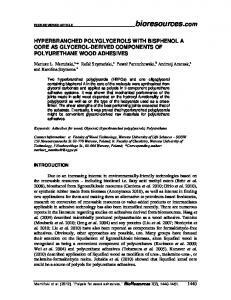 “Biocomposites based on renewable resource: Acetylated and non-acetylated cellulose cardboard coated with polyhydroxybutyrate,” Polymer 50(26), 6274-6280. Didwania, H. P. (1968). “A study of the effects of hydroxyethylation on bonding of paper,” D.Sc. Thesis, Institute of Paper Chemistry, Wisconsin, 89 pp. Donaldson, L. (2008). “Microfibril angle: Measurement, variation and relationships - A review,” IAWA Journal 29(4), 345-386. Dumbleton, D. F. (1972). “Longitudinal compression of individual pulp fibres,” Tappi J. 55(1), 117-135. Ek, M., Gellerstedt, G., and Henriksson, G. (2009). Pulp and Paper Chemistry and Technology, Vol. 4: Paper Products Physics and Technology, Walter de Gruyter, Berlin, ISBN 978-3-11-021345-4. Fellers, C. N., Fredlund, M., and Wågberg P. (1991). “Die-cutting toughness and cracking of corrugated board,” In: Proceedings of 1991 International Paper Physics Conference, held 22-26 Sept. 1991 at Kona, Hawaii, Book 1, 203-210. Fellers, C., Backström, M., Htun, M., and Lindholm, G. (1998). “Paper-to-paper friction – Paper structure and moisture,” Nordic Pulp and Paper Research Journal 13(3), 225-232. Giamperi, A., Perego, U., Borsari, R. (2011). “A constitutive model for the mechanical response of the folding of creased paperboard,” International Journal of Solids and Structures 48 (16-17), 2275-2287. Gates, E.R., and Kenworthy, I.C. (1963). 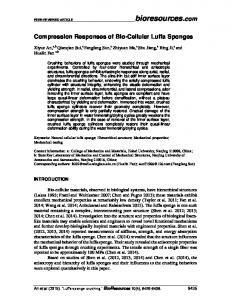 “Effects of drying shrinkage and fibre orientation on some physical properties of paper,” Paper Technology 4 (11), 485-494. Golzar, M., and Ghaderi, A. (2009). 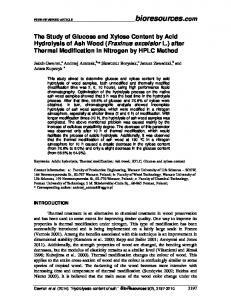 “Effect of the temperature on the spring back of cellulose-based sheet in hot pressing,” Int. J. Adv. Manuf. Technol. 42(7-8), 633-642. Goring, D. A. I. (1963). 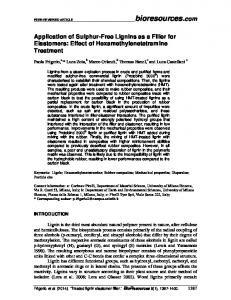 “Thermal softening of lignin, hemicellulose, and cellulose,” Pulp and Paper Magazine of Canada 64(12), 517-527. Gurnagul, N., and Seth, R. (1997). “Wet web strength of hardwood kraft pulps,” Pulp and Paper Canada 98 (9), 305-309. Gurnagul, N., Shallhorn, P., Omholt, I., and Miles, K. (2009). “Pressurized highconsistency refining of kraft pulps for improved sack paper properties,” Appita J. 62(1), 25-30. Haataja, B. A., Sandberg, B. L., and Liptak, R. E. (1991). 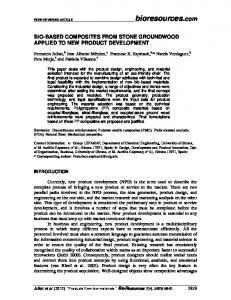 “Observation and control of mat behaviour in molding with wood flakes,” Forest Products Journal 41(7-8), 2126. Habeger, C. C., and Whitsitt, W. J. (1983). “A mathematical model of compressive strength in paperboard,” Fibre Science and Technology 19(3), 215-239. Haslach, H. W. Jr. (2000). “The moisture and rate-dependent mechanical properties of paper: A review,” Mech. Time-dependent Mater. 4 (3), 169-210. Hauptmann, M., and Majschak, J.P. (2011). “New quality level of packaging components from paperboard through technology Improvement in 3D forming,” Packag. Technol. Sci. 24(7), 419-432. Heinz, O. (1966). “Ungenügende Ziehqualität und ihre Ursachen,” Papier und Druck Fachteil Buchbinderei und Papierverarbeitung 6, 89-95. Heinz O. (1967) “Ziehkraftdiagrammebeim Ziehen von karton und Pappe,” Papier und Druck. Fachteil Bucbinderei und Papierverarbeitung 9, 136-139. Hernandez, R. J., and Selke, S. E. (2001). Encyclopedia of Materials: Science and Technology, Buschow, J., Cahn, R. W., Flemings, M. C., Ilschner, B., Kramer, E. J., Mahajan, S., and Veyssiere, P. (eds. ), Elsevier. Hine D. J. (1964). Verpackungsrundschau. Technisch wissenschaftliche Beilage 15(2), 9. Holik, H. (ed.) (2005). Handbook of Paper and Board, Wiley-VCH, 528. Hosford, W. F., and Caddell, R. M. (eds.) (2007). Metal Forming: Mechanics and Metallurgy, Prentice Hall, Englewood cliffs. Htun, M., Fellers, C., and Hansson, T. (1989). “Drying restraint and a new restraint technique to improve cross directional properties of paper,” Transactions of the 9th Fundamental Research Symposium on the Fundamentals of Papermaking, Mechanical Engineering Publications, Cambridge, England, 743-781. Huang, H. (2011). “Numerical and experimental investigation of paperboard creasing and folding,” Licentiate thesis. KTH Stockholm. Hänninen, T., Kontturi, E., Leppänen, K., Serimaa, R., and Vuorinen, T. (2011). 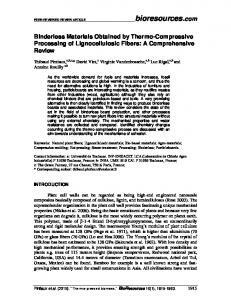 “Kraft pulping of Juniperus communis results in paper unusually high elasticity,” BioResources 6(4), 3824-3835. Ingraffea, D. D. (1983). “Method for forming a coated paperboard container,” US Patent № 4381278. Jackson, M. (1967). “High consistency refining – A literature survey,” Svensk Papperstidning 70(16), 507-510. Johansson, A., Fellers, C., Gunderson, D., and Haugen, U. (1998). “Paper friction – Influence of the measurement conditions,” Tappi J. 81(5), 175-183. Johnson, J. A., Bennett, K. A., and Montrey, H. M. (1983). Handbook of Physical and Mechanical Testing of Paper and Paperboard, Mark, R. E. (ed. ), Marcel Dekker, New York. Johnson, M. W., and Urbanik T. J. (1987). “Buckling of axially loaded, long rectangular paperboard plates,” Wood and Fiber Science 19(2), 135-146. Joutsimo, O. (2004). 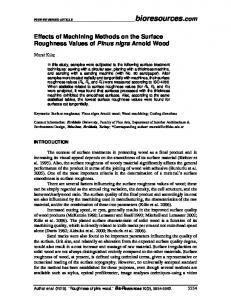 Effect of mechanical treatment on softwood kraft fiber properties, Doctoral Thesis, Helsinki University of Technology. Joutsimo, O., Wathén, R., and Tamminen, T. (2005). 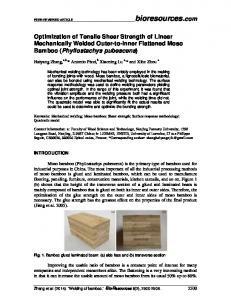 “Effects of fiber deformations on pulp sheet properties and fiber strength,” Paperi ja Puu – Paper and Timber 87(6), 392-397. Kellicutt, K. Q. (1961). “How paperboard properties affect corrugated container performance,” Tappi J. 44(1), 201-204. Kunnari, V., Jetsu, P., and Retulainen, E. (2007). “Formable paper for new packaging applications,” In: Proceedings of: 23rd Symp. International Association of Packaging Research Institutes (IAPRI), Windsor, UK. Kurki, M., Kouko, J., Kekko P., and Saari, T. (2004). “Laboratory scale measurement procedure of paper machine wet web runnability, Part 1,” Paperi ja Puu 86 (4), 256262. Künne, B., Willms, U., and Stumpf, C. (2011). “Vulcanized fiber as a high-strength construction material for highly loaded construction units,” In: Proceedings of Progress in Paper Physics seminar 2011, Graz, Austria, 5-8 Sept. 2011, 319-322. Künne, B., and Dumke, D. (2012). “Vulcanized fiber as a high-strength construction material for highly loaded construction units,” In proceedings of: 2012 International Paper Physics Conference, 50-55. Le Ny, C., and Messner, M. (2007). “Potential of refining and dispersing to develop recycled fibre properties,” Pulp & Paper Canada 108(2), 38-41. Lindström, H., Evans, J. W., and Verrill, S. (1998). “Influence of cambial age and growth conditions on microfibril angle in young Norway spruce (Picea abies [L.]Karst. ),” Holzforschung 52(6), 573-581. Ljungqvist, C. H., Lyng, R., and Thuvander, F. (2005). “Evaluation of PFI beating on the strain to failure of spruce fibres using single fiber fragmentation,” Nordic Pulp and Paper Research Journal 20(4), 370-377. Long, A. C., Rudd, C. D., Blagdon, M., Kendall, K. N., and Demeri, M. Y. (1996) "Simulation and measurement of reinforcement deformation during preform manufacture," Polymers & Polymer Composites 4(5), 335-342. Martin, T. A., Christie, G. R., and Bhattacharyya, D. (1997). “Grid strain analysis and its application in composite sheet forming,” In: Bhattacharyya, D., (ed. ), Composite Sheet Forming, Elsevier Science, 217-246. Marynowski, K. (2008). “Dynamics of the axially moving orthotropic web,” Lecture Notes in Applied and Computational Dynamics (38), 85-102. McClurg, R. S., and Dulmage F. C. Jr. (1942). “Method of deep-drawing ethyl cellulose films,” US Patent 2,296,723. McDonald, J. D., Gratton, M. F., Menard, A., Sherson, G. E., and Ko, P. L. (1996). “Measuring paper friction: Testing conditions and papermaking factors,” In: Finishing & Converting Conference, Atlanta, 163-171. Mohlin, U. B., Dahlblom, J., and Hornatowska, J. (1996). “Fibre deformation and sheet strength,” Tappi Journal 79 (6), 105-111. Morris J. A., and Siegele J. C. (1975). “Deep drawn paperboard container and process for making it,” US Patent 4026458. Nakamura, R., Goda, K., Noda J., and Ohgi J. (2009). “High temperature tensile properties and deep drawing of fully green composites,” eXPRESS Polymer Letters 3(1), 19-24. Nanko, H., and Wu, J. (1995). “Mechanisms of paper shrinkage during drying,” International Paper Physics Conference, Niagara-on-the-Lake, Canada, 103-113. Nezamoleslami, A., Suzuki, K., Ueno, T., Toyama, N., and Kadoya T. (1998). 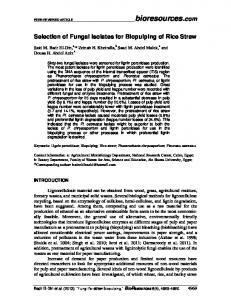 "Preparation and properties of vulcanized fibers derived from kenaf pulps," Japan Tappi J. 52(6), 828-837. Nino, G. F., Bergsma, O. K., Bersee, H. E., and Beukers, A. (2007). “Influence of fiber orientation on mechanical performance for thermoformed composites,” In: Proceedings of 16th international conference on composite materials, Kyoto Japan, 1-7. Nishino, T., Matsuda, I., and Irao, K. (2004). “All cellulose composite,” Macromolecules, 37(20) 7683-7687. Niskanen, K., Kärenlampi, P., and Alava, M. (1996). "Stochastic analysis of paper toughness," J. Pulp Paper Sci. 22(10), 392-397. Niskanen, K. (ed.) (1998). Paper Physics, In: Papermaking Science and Technology (series) by Gullichsen, J., Paulapuro, H., and Niskanen, K. (eds. ), Fapet Oy, Helsinki, Finland: ISBN 952-5216-16-0, 324. Niskanen, K. (2000). “Kraft fibers in paper—Effect of beating,” In Proceedings of 10th Int. Conf. CELLUCON 98b Turku, Finland, 249-260. Nobuhiro, H., Masato, O., Shuichi, K., Masatsugu, K., and Hidenori, O. (2004). Japan Patent JP2004124272. Nygårds, M., and Malnory, J. (2010). “Measuring the out-of-plane shear strength profiles in different paper qualities,” Nordic Pulp and Paper Research Journal 25(3), 366371. Nygårds M., Fellers, C., and Östlund, S. (2009). “Development of the notched shear test,” In: Transactions of the 14th Fundamental Research Symposium, Oxford, 877-897. Östlund, M., Borodulina S., and Östlund, S. (2011). “Influence of paperboard structure and processing conditions on forming of complex paperboard structures,” Packaging Technology and science. 24(6), 331-341. Page, D. H. (1966). “The axial compression of fibres — A newly discovered beating action,” Pulp and Paper Magazine Canada 67(1), 2-12. Page, D. H., and Tydeman, P. A. (1966). “Physical processes occurring during the drying phase,” In: Consolidation of the Paper Web, Vol.1, F. Bolam (ed. ), British Paper and Board Makers’ Assoc., London, 371-396. 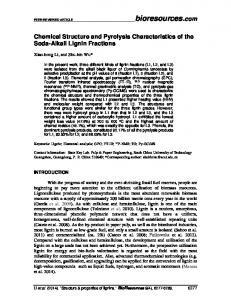 Page, D. H., El-Hosseiny, F., Kim, C. Y., Winkler, K., Bain, R. Lancaster, P., and Vondrankova, M. (1973). “The behaviour of single woodpulp fibres under tensile stress,” In: Fundamental Properties of Paper Related to its Uses, (F. Bolam, Ed), 407. Page, D. H., Seth, R. S., Jordan, B. D., and Barbe, M. C. (1985). “Curl, crimps, kinks, and microcompressions in pulp fibres: Their origin, measurements and significance,” Transactions of the 8th Fundamental Research Symposium, Oxford, UK, 183-227. Page, D. H., and El-Hosseyni, F. (1983). “The mechanical properties of single wood pulp fibres. Part VI. 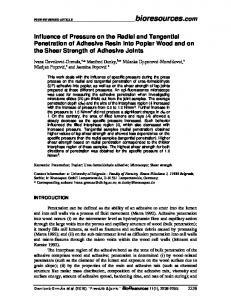 Fibril angle and the shape of the stress-strain curve,” J. Pulp Paper Sci., 9(4), 99-100. Page, D. H., and Seth, R. S. (1980). “The elastic modulus of paper III: The effects of dislocation, microcompressions, curls, crimps and kinks,” Tappi Journal 63(10), 99102. Paperonweb.com (2012). 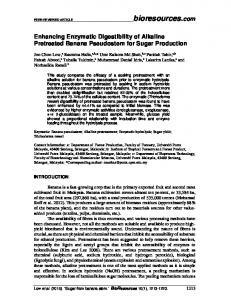 Electronic material, available via: http://www.paperonweb.com/PaperDefects.htm, (accessed 10.07.2012). Peltonen, J. (2006). “Development of a testing method for convertability of paperboard,” M. Sc. Thesis, Lappeenranta University of Technology, 91 pp. Post, P.P., Huttel, D., Groche P., and Schabel, S. (2011). “Paper characteristics influencing the deep drawing ability of paper,” In: proceeding of Progress in Paper Physics 2011, September 5-8th 2011 Graz Austria, 137-145. Reitzer, R. (2007). “Applications of nanotechnology in the paper industry. From the perspectives of the Nanoscience Center,” Market Analysis and Industrial Needs. A report. Retulainen, E., and Salminen, K., (2009). “Effects of furnish related factors on tension and relaxation of wet webs,” In Advances in Pulp and Paper Research, 14th Fundamental Research Symposium held in Oxford September 2009, 1019-1038. Rezai, E., and Warner, R. R. (1997). “Polymer-grafted cellulose fibers. I. Enhanced water absorbency and tensile strength,” Journal of Applied Polymer Science 65(8), 14631469. Rhim, J.W. (2010). “Effect of moisture content on tensile properties of paper-based food packaging materials,” Food Science Biotechnology 19(1), 243-247. Robertson, A. A. (1959). “The physical properties of wet webs. Part 1. Fiber-water association and wet-web behavior,” Tappi 42 (12), 969-978. Salmén, N. L. and Back, E. L. (1977). 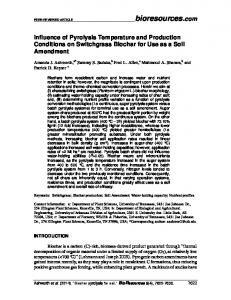 “The influence of water on the glass transition temperature of cellulose,” Tappi Journal 60(12), 137-141. Salmén, L. (1979). “Thermal softening of the components of paper: Its effect on mechanical properties,” Pulp and Paper Canada, Trans. tech. Sec. 5, 45-50. Salmén, L., Back, E., and Alwarsdotter, Y. (1984). “Effects of non-aqueous plasticizers on the thermal softening of paper,” Journal of wood chemistry and Technology 4(3), 347-365. Salminen, L. (2003) “Aspects of fracture processes in paper,” Doctoral thesis, University of Helsinki, ISBN 951-22-6556-7. Satyanarayana, K. G., Pillai, C. K. S., Sukumaran, K. Pilla, S. G. K., Rohatgi, P. K., and Vijayan K. (1982). “Structure property studies of fibres from various parts of the coconut tree,” Journal of Materials Science 17(8), 2453-2462. Scallan, A. M. (1974). “The structure of the cell wall of wood - A consequence of anisotropic inter-microfibrillar bonding?,” Wood Science 6(3), 266-271. Schlesinger, S., Cerenzia, W., and Wilson, T. (1982). “Manufacture of molded paperboard articles,” US Patent 4,514,354. Schwarzmann, P., and Illig, A. (ed.) (2001). Thermoforming: A Practical Guide, Hanser, ISBN 1-56990-275-5 242 p. Scherer, K. (1932). “Untersuchungenüber Ziehfähigkeit und den Ziehvorgang von Pappe,” Ph.D. Thesis, Technische Hochschule Dresden. Seo, Y. B., De Oliveira, C., and Mark, R. E. (1992). 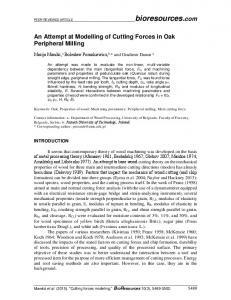 “Tension buckling behaviour of paper,” Journal of Pulp and Paper Science 18(2), 55-61. Seth, R. S. (1995). “The effect of fibre length and coarseness on the tensile strength of wet webs: A statistical geometry explanation,” Tappi Journal 78(3), 100-102. Seth, R. S. (2005). “Understanding sheet extensibility,” Pulp and Paper Canada 106(2), 33-40. Shiraishi, N. (1991). “Wood plasticization,” In: N. Shiraishi and D.N.-S. Hon (eds. ), Wood and Cellulosic Chemistry, Marcel Dekker, 861-906. Sjöberg, J., and Höglund, H. (2007). “High consistency refining of kraft pulp for reinforcing paper based on TMP furnishes,” In: 2007 International Mechanical Pulping Conference, 6-9 May, Minneapolis, Minnesota, USA. Skelton, J. (1980). “Shear of Wowen Fabrics,” In: Mechanics of Flexible Fibre Assemblies, Sijthoff & Noordhoff, Alphen. Sørensen, G., and Hoffmann, J. (2003). “Moisture sorption in moulded-fibre trays and effect on static compression strength,” Packag. Technol. Sci. 16(4), 159-169. Stenberg, N. (1999). “Mechanical properties in the thickness direction of paper and paperboard,” Licentiate thesis, KTH Stockholm. Stenberg, N., Fellers, C., and Östlund, S. (2001). “Measuring the stress-strain properties of paperboard in the thickness direction,” J. Pulp Paper Sci. 27(6), 213-221. Stora Enso. (2012). “Specifications of Trayforma® Natura,” Brochure, available via: http://www.storaenso.com/products/packaging/Documents/Trayforma%20Natura_en g.pdf , (accessed 06.07.2012). Suzuki, K. (2004). 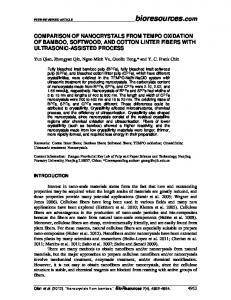 “Production and characteristics of vulcanized fiber produced from the raw materials of nonwood fiber,” Japanese Journal of Paper Technology 47(6), 4247. Tajally, M., Emaddodin, E., and Qods, F. (2011). “An experimental study on earing and planar anisotropy of low carbon steel sheets,” World Applied Sciences Journal 15(1), 1-4. Urbanik, T. J. (1992). “Effect of in-plane shear modulus of elasticity on buckling strength of paperboard plates,” Wood and Fiber Science 24(4), 381-384. Uesaka, T., Ferahi, M., Hristopolus, D., Deng, N., and Moss, C. (2001). “Factors controlling pressroom runnability of papers,” In: Transactions of the 12th Fundamental Research Symposium, Edited by C. F. Baker, Vol. 2, 1423-1440. Uesaka, T. (2005). “Principal factors controlling web breaks in pressroom-qualitative evaluation,” Appita Journal 56(6), 425-432. Uggla, R., Laamanen, J., Paako, J., Jantunen, J., Toroi, M., and Partio, E. (1988). “Undersökning av faktorer som påverkar djup-dragningen och präglingen av kartong och papper,” KCL Rapport 1611. Van den Akker, J. A. (1950). “The elastic and rheological properties of papermaking fibers,” Tappi 33(8), 398-402. Van den Akker, J. A., Lathrop, A. L., Voelker, M. H., and Dearth, L. R. (1958). “Importance of fiber strength to sheet strength,” Tappi 41(8), 416-425. Van Eperen, R. H. and Robbins, W. B. (1994). “The effect of moisture content on ring crush and short span compressive strength,” A Summary report to the containerboard and kraft paper group of the American Forest and Paper association. The Institute of paper Science and Technology, Project 3817, Atlanta Georgia Vomhoff, H. (1998). “Dynamic compressibility of water-saturated fibre networks and influence of local stress variations in wet pressing,” PhD Thesis, Royal Institute of Technology, Stockholm, 130. Vuoti, S., Laatikainen, E., Heikkinen, H., Johansson, L.S., Saharinen, E., and Retulainen, E. (2012). 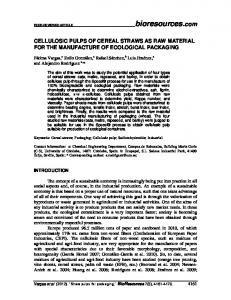 “Chemical modification of cellulosic fibres for better convertibility in packaging applications,” Carbohydrate Polymers, in press Wahlström, T., Adolfsson, K., Östlund S., and Fellers C. (1999). “Numerical modelling of the cross direction shrinkage profile in a drying section, a first approach,” In: Proceedings, 1999 International Paper Physics Conference, September 26-30, San Diego, CA, 517-531. Waller, M. H., and Singhal, A. S. (1999). “Development of paper properties during restrained drying of handsheets,” In: Proceedings of 1999 TAPPI Engineering/Process and Product Quality Conference, Anaheim, September 13-16. Wang, X., and He, W. (2003). “Mechanical properties of irregular fibers,” International Journal of Engineering (Transactions A: basics) 16(1), 99-108. Wang, L., Dong, W., and Xu, Y. (2007). “Synthesis and characterization of hydroxypropyl methylcellulose and ethyl acrylate graft copolymers,” Carbohydrate Polymers 68(4), 626-636. Waterhouse, J. F. (1976). “The deformation characteristics of polymer reinforced fiber networks,” Tappi 59(7), 106-109. Waterhouse, J. F. (1984). “The ultimate strength of paper,” In Proceedings of Progress in Paper Physics – A Seminar, Design Criteria for paper performance, Stockholm, Sweden, June 25-29 Waterhouse, J. F. (1985) “Paper properties and converting,” IPC Technical Paper № 162. Westeneng, A. (2001) “Modelling of contact and friction in deep drawing processes, Research project report, University of Twente, 185 pp. Whitsitt, W. J. (1987). “Runnability and corrugating medium properties,” Tappi 70(10), 99-103. Xia, Q. S., Boyce, M. C., and Parks, D. M. (2002). “A constitutive model for the anisotropic elastic–plastic deformation of paper and paperboard,” International Journal of Solids and Structures 39(15), 4053-4071. Article submitted: February 10, 2012; Peer review completed: July 2, 2012; Revised version received and accepted: July 14, 2012; Published: July 17, 2012.